If you’re keeping score at home, you know I have two fat quarters left out of the bunch I received from my New Zealand fabric swap partner. They’re my favorites, so I wanted to make sure I used them for something I could keep. I’ve been working on a full apron pattern I’ll be sharing with you soon, but sometimes all you need is a half. Since I don’t own an apron at all, that settled it. 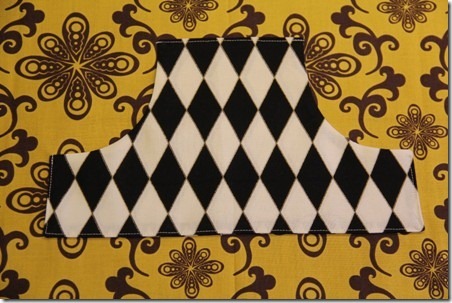 To make this apron, you’ll need two fat quarters and this pocket pattern. Sew the two pockets, right sides together, leaving a 2” opening at the bottom to turn. Clip the corners. Turn the pocket right side out and press, turning in the opening. Place the pocket, centered on the skirt, 6 1/2” from the top edge. 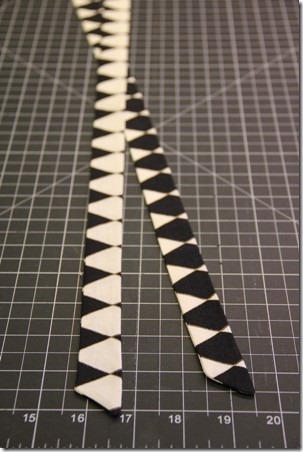 Stitch around the straight edges of the pocket, leaving the two curved sides open. 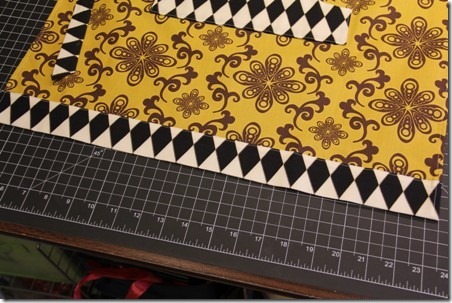 Fold the bottom edge trim in half with wrong sides together. Press the fold. Open back up and line up one edge with the bottom edge of the apron skirt, right sides together. Stitch. Press seam toward the trim. Repeat the same process with the waistband, stitching it to the top of the skirt and pressing the seam toward the waistband. Create a 1/4” rolled hem on each side by folding the edge under 1/2”, then folding the raw edge in 1/4”. Stitch. Fold tie the long way, right sides together. 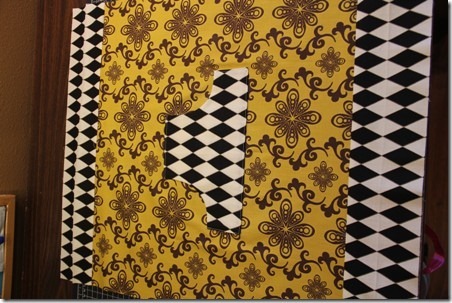 Stitch near edge, angling at the end if desired and leaving the opposite end open. Turn and press. Turn the raw edge of the waistband under 1/4” and press. Fold in along the previously pressed center line, so the folded edge covers the seam on the back. Tuck the raw end of the tie into the end of the waistband. Stitch near the bottom edge and down the sides of the waistband. Repeat with the bottom trim, leaving out the ties. This is quick and easy to make and takes very few supplies. You could even change up the shape of the pocket. I’m not only the proud owner of a new apron, but a new apron with a story behind it. The very best kind. Bet you can’t guess what my Friday Favorites theme is tomorrow!